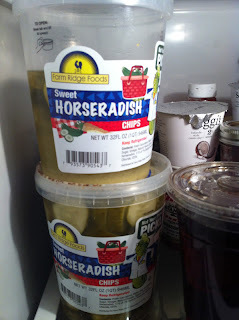 Readers of this blog know I have a hankering for sweet pickles with a horseradish bite. I love the "horsey pickles" from Bolsa, which are bread and butter pickles with horseradish seasoning added in along the way. I've even experimented with making my own. Currently, I'm devouring my most recent Central Market discovery- sweet horseradish chips! Go buy some. Go eat some. They are delicious! 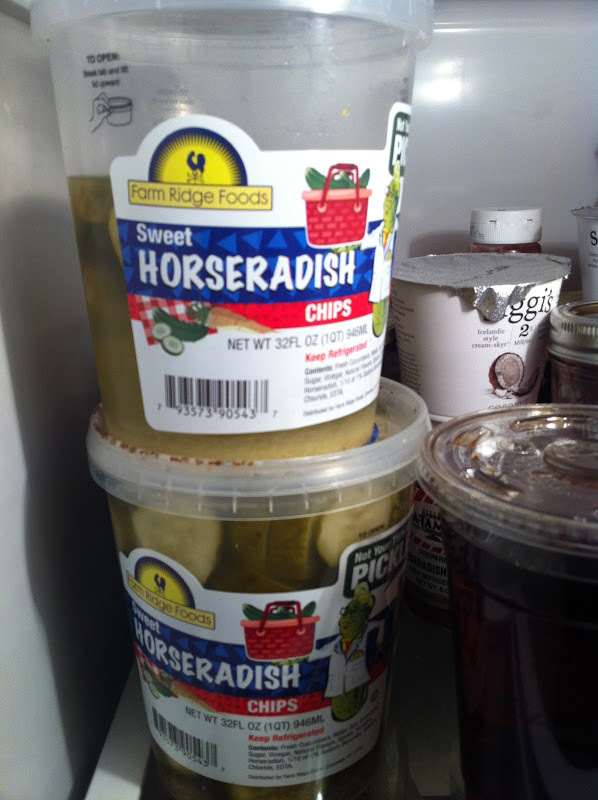 My husband doesn't like pickles and he doesn't like horseradish, which means I don't have any household competition. I do live a charmed life.